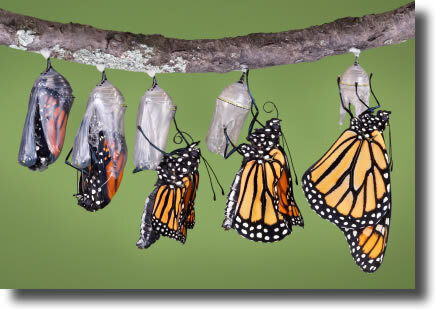 One day, a small opening appeared in a cocoon; a man sat and watched for the butterfly for several hours as it struggled to force its body through that little hole. It appeared as if it had gotten as far as it could and it could not go any further. Then, it seems to stop making any progress. So the man decided to help the butterfly: he took a pair of scissors and opened the cocoon. The butterfly then emerged easily. But it had a withered body, it was tiny and shriveled wings. Sometimes, struggles are exactly what we need in our life. If God allowed us to go through our life without any obstacles, it would cripple us. We would not be as strong as we could have been. Never been able to fly. We asked for Strength… and God gave us difficulties to make me strong. We asked for Wisdom… and God gave us problems to solve. We asked for Prosperity…and God gave us a brain and brawn to work. We asked for Courage…and God gave us obstacles to overcome. We asked for Love…and God gave us troubled people to help. We asked for Favors…and God gave us opportunities. We received nothing we wanted…but we received everything we needed. Let us live life without fear, confront all obstacles and know that you can overcome them. This entry was posted in 1st step Motivation, Philosophical, educative stories. Bookmark the permalink.